18" x 26" 20" x 42" 24" x 28"
Beautiful wooden framing with a black finish for use in any indoor locations. Includes top hinges for users to fold the unit flat for easy storage and portability. 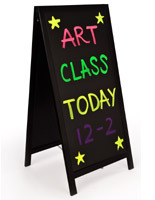 Features two 24" x 36" blackboards for displaying written messages on both sides. 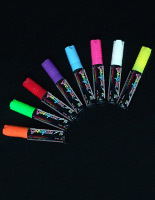 Designed for use with stick chalks, wet-erase neon pens and liquid chalk markers. 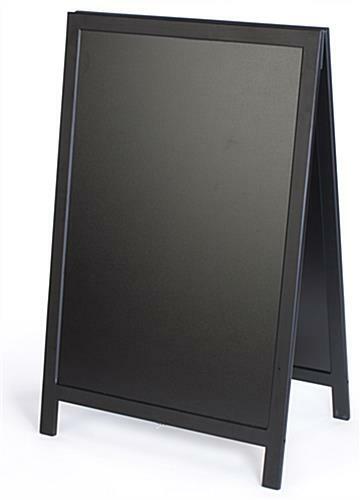 This menu chalkboard, sidewalk chalkboard is a very effective way to gain the attention of potential customers, simply by placing the unit outside of your business. 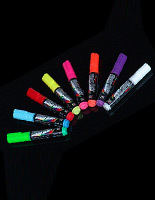 Users can create and write their own messages and advertisements on these side walk signs using stick chalk, wet-erase or liquid chalk markers (sold separately). 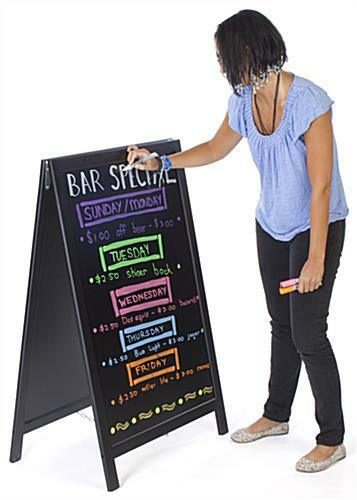 This double-sided sidewalk chalkboard, also called a chalkboard display, has two 24" x 36" blackboard surfaces, one on either side. These dual-sided signs can display two different messages back to back. 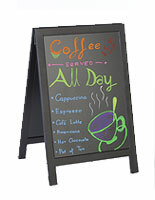 This sidewalk chalkboard, a-frame black board that has a classic design, is therefore ideal for use by a variety of businesses. 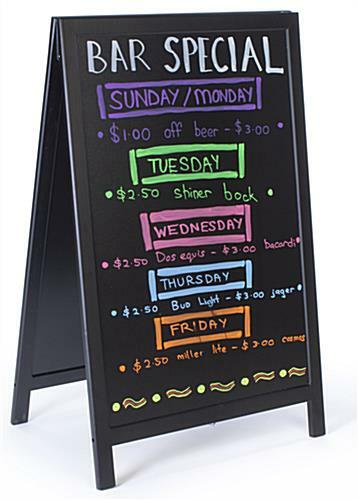 This chalk board is often used within restaurants and delis, displaying "Menu of the Day" or "Drinks Specials". Schools often use this sidewalk chalkboard that is foldable as a teaching tool to educate children. Retail stores can also use these signs to display "Clearance Events", "Sale Today" or "Buy One, Get 1 Free" signage. 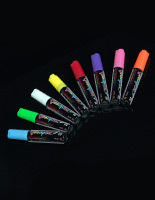 The textured sidewalk chalkboard enables users to reuse the board over and over again, as the writing surface can be easily cleaned using a damp cloth. Top hinges can be found at the top of the a-frame black board, enabling users to fold the unit flat for easy storage and transport. 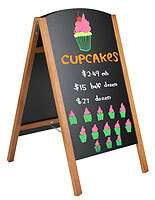 This sidewalk chalkboard is constructed from rubber wood and feature a black-colored finish. 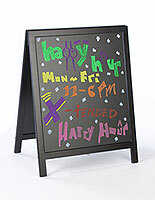 This neutral coloring enables the chalkboard to blend in with virtually any indoor location. This sidewalk chalkboard that is made from rubber wood is designed for use indoors. These units can also be used outdoors, but with limitations (under fair weather conditions only). Businesses can increase sales and customer interest simply by placing these sidewalk chalkboard units in highly visible locations, such as storefronts and entryways. 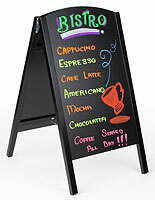 Purchase this sidewalk menu blackboard online from this trusted source for more savings today! 27.6" x 43.0" x 19.0"
The size is great - plenty of space for 2 columns of info. The eraser is the next best thing since sliced bread! Haha! We love this review, Amy! Thanks so much for your kind words. Works exactly as advertised. Have no issues. I am able to use it for coffee bar promotions. We are very pleased with the quality of this chalkboard sign! It erased very easily as well and didn't leave any trace of chalk paint. Seems very sturdy and durable. Thanks for the feedback, KL.